Alaska adopts strict new rules for fracking. What about Montana? It’s interesting to see what other states do while Montana twiddles its thumbs. Alaska’s oil and gas regulatory body has adopted new rules governing hydraulic fracturing that include increased testing of water wells for contamination. Final regulations are now being reviewed by state attorneys before they are signed by the Lieutenant Governor. The rules will require testing of all water wells within a half-mile radius of a well to be fractured, and will mandate testing of the water wells for contamination after the fracture job is completed, said Cathy Foerster, chair of the Alaska Oil and Gas Conservation Commission (AOGCC). In some cases, testing of water wells prior to the fracturing may be required at the discretion of the commission. The rule will also require disclosure of chemicals used in fracturing fluids and for the chemicals to be reported to FracFocus, a national website maintained for public disclosure of chemicals used in hydraulic fracturing. 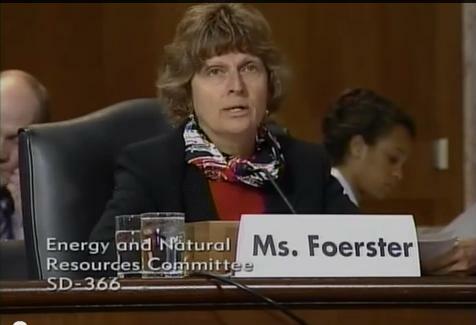 The disclosure requirements are similar to what other states require and will adequately protect the trade secrets of service companies working on frac jobs, Foerster said. “Our concern is that these regulations will result in substantial costs without providing any real tangible benefit to the public, as most hydraulic fracture treatments in Alaska take place thousands of feet below any drinking water,” said Kara Moriarity, executive director of the Alaska Oil and Gas Association. We’ve been hydraulic fracturing wells in Alaska for over 40 years. About a quarter of all wells drilled in Alaska have been fractured. The rule update has been a multi-year effort, first to keep up with technology advances, second to address fracturing fluids disclosure and water quality monitoring and third to gather all of our regulatory requirements into a section titled hydraulic fracturing, to make it easier for the public to see how we are regulating hydraulic fracturing. Compare that to the chicanery that goes on with the Montana Board of Oil and Gas Conservation, which rubber stamps anything the industry puts in front of it. Why does one state focus on technology, transparency and water quality while another does whatever the oil and gas industry wants? Alaska’s new rules aren’t revolutionary, but they recognize the significant impact of fracking on water. This entry was posted in Fracking Information and tagged Alaska, Alaska Oil and Gas Conservation Commission, frac focus, reform, transparency, water quality, water testing. Bookmark the permalink. 1 Response to Alaska adopts strict new rules for fracking. What about Montana? Where is the fracking water stored after it’s use? Putting it underground is out of sight out of mind method that still can cause contamination and has not proven it doesn’t! Monitoring well water just before drilling starts is ludicrous! Should be monitored at least a year prior to drilling because of the melt run off changing the water quality due to freeze-thaw environment. Testing distance to 1/2 mile from drill site also doesn’t make sense! After all what ever leaches to the surface will find the least path of resistance to the surface or does it know that it has to be within a certain distance from the drill site? It may surface in a natural fissure 5-10 or more miles away! The worst part is it is a short lived well! With EPA cut backs and former petroleum executives being appointed to EPA is like asking the fox to guard the hen house! Absolutely appalling!